Hello from StartOut! We hope you are enjoying your summer vacation. Here’s a look at some exciting news from StartOut members. Read about Jody Michael’s participation in the FUND Conference, the Plexus’s Developer Kit shipments, Esquify’s big pitch competition win, & Lube the Musical coming to NYC this Fall! Jody Michael, founder of Jody Michael Associates and a member of the StartOut Board of Directors, will be speaking at the Women Investing in Women event on October 24th at the Chicago Fund Conference. 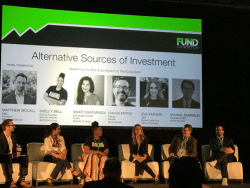 The FUND Conference is a national connector of entrepreneurs, VCs, angel investors & industry experts with a focus on curated deal flow and captivating content. This event is organized to create relationships, solve problems, and generate deal flow for women-owned companies & the communities supporting them. Secure your spot today! 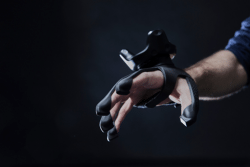 It’s been a huge summer for Plexus, a developer of high performance VR/AR gloves. They graduated from the StartOut Growth Lab and Y Combinator, were featured in Tech Crunch, and will soon ship their first batch of Developer Kits starting August 2018. Esquify, the AI-driven workforce management platform for law, wins the US leg of the Global Venture program organized by Spain’s IE Law School. This global innovation competition for early-stage legal tech firms culminates in a global conference in Madrid later this summer. 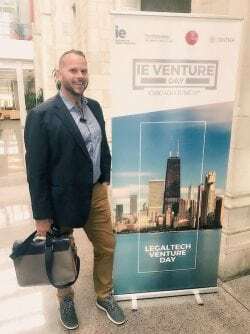 The husband co-founded company was selected as one of 6 innovative legal tech finalists to pitch at Northwestern Pritzker School of Law and then went on to win the pitch competition. During the pitch competition, Drew ‘came out’ as an LGBTQ company which values inclusion and diversity, and discussed his involvement with StartOut. Coming to NYC this October! Playwright, lyricist Jack Turner announces the world premier of “LUBE: A MODERN LOVE STORY” happening this October in New York City! LUBE is a gay-themed, Broadway-style, upbeat musical dealing with the unique experience of growing up gay. Lots of laughs, witty lyrics, & catchy songs! LUBE is an out-of-the-box attempt to address the national epidemic that is young adult suicide, especially among young gay adults. It’s a musical with a mission of Hope & Tolerance, both to young gay adults & to everyone. Their musical targets the LGBTQ & supportive community to provide an upbeat, message, role models, and, it just might be a vital suicide prevention tool for at risk LGBT youth! Take a look at their newsletter & share with friends! Be part of Gay Musical Theatre and donate today!